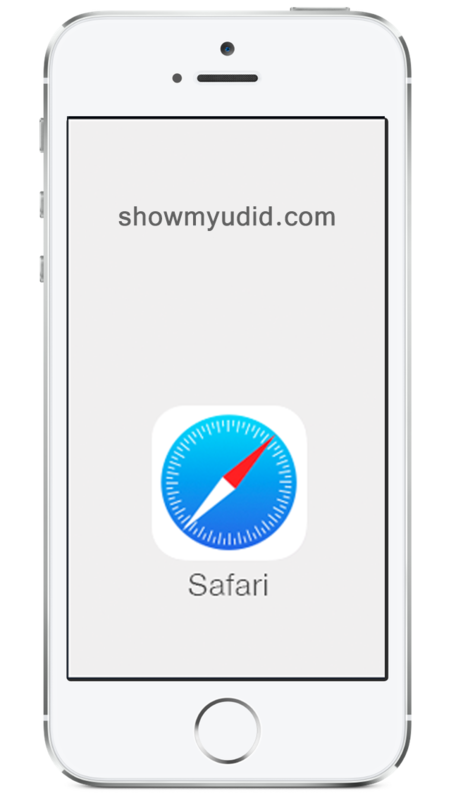 ShowMyUDiD.com gives you one tap to find the UDID of your iPhone, iPad or iPod directly using mobile Safari without need in iTunes or desktop/MacBook computer. UDID of your device is needed to iOS developers to be available to install early versions of mobile applications onto your device to debug and test such apps. Why should I use showmyudid.com? You may use iTunes instead to find UDID. But we recommend to use our simple one-tap service to find UDID of your device, because it's fast, easy, secure and doesn't require desktop with iTunes installed. We hope you're tester or mobile apps developer or kind of them. ShowMyUDiD.com uses Apple Mobile Device Management concepts to provide you information about your device. Profile you install tells your iPhone, iPad or iPod to send encrypted data (UDID) to your browser. This profile is temporary and exists on your device only for a few moments to send encrypted data. After this profile removed from your iOS device. We do not store or reuse any of your device information. Apple allows to get UDID, IMEI, Serial No., Product Name and iOS Version. showmyudid.com provides only udid information to you and doesn't get access to anything of this.